Following a month long test, Business Insider features a write-up on the Roker Comp, declaring it "the funnest bike we've ridden." 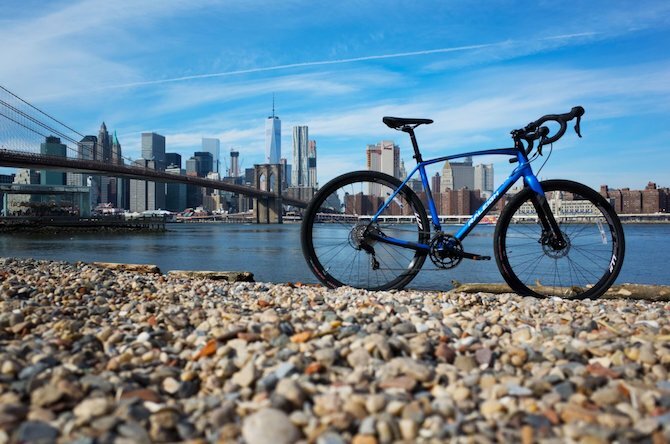 New York proved to be an excellent setting for the Roker Comp, allowing the bike to be tested in a variety of situations from Manhattan rush hour to singletrack in Long Island. 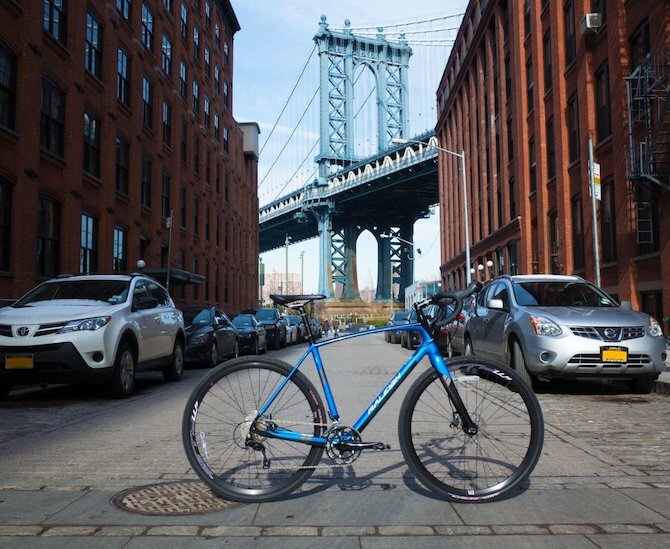 The Roker excelled in both settings with the carbon fork and relaxed geometry yielding a comfortable ride on Brooklyn's potholed filled streets, and the carbon frame making for a snappy, fun ride on singletrack. "It's all road, any road, a go-anywhere, do-anything bike," Dave Pearson, product manager at Raleigh told Business Insider. "I like to call it an adventure bike." In addition to its frame, the Roker utilizes 40mm Clement X'Plor MSO tires, Shimano 105 hydraulic disc brakes and ample clearance for fenders. Editor's Quote: "It is a very, very fun and good-looking bike, ideal for anyone who wants one bike to go most anywhere." To view the Roker Comp, click here.